New USA Gypsum corporate headquarters located at 1368 West Route 897 in Denver, PA.
May 20, 2015, Denver, PA – USA Gypsum held its Executive Tour and Ribbon-Cutting Ceremony on Friday, April 17, 2015. Among those present to welcome the new USA Gypsum corporate headquarters to the neighborhood were State Representative Mindy Fee and distinguished guests from West Cocalico Township, the Pennsylvania Department of Environmental Protection, the Pennsylvania Recycling Markets Center (RMC), the Pennsylvania Department of Agriculture and Lancaster County Solid Waste Management Authority. “We wish to thank our customers and employees, without whom the need for this new facility wouldn’t exist. We had tremendous support from the community, the Pennsylvania Department of Environmental Protection, Lancaster County, and West Cocalico Township during the planning process. 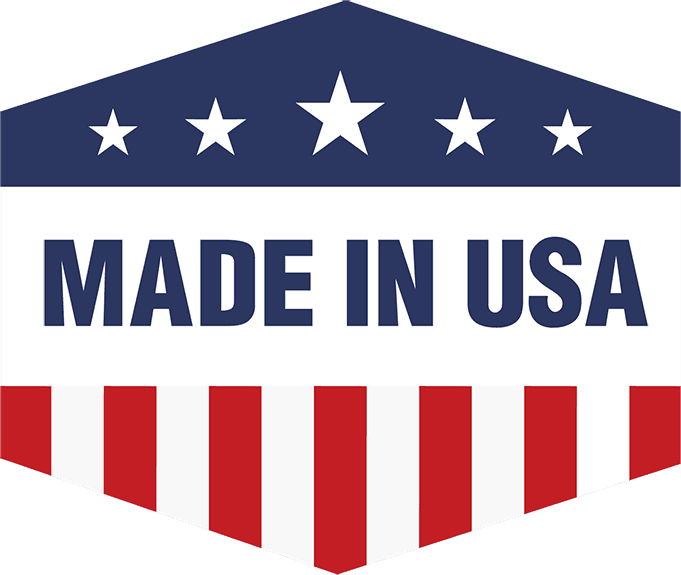 The new buildings and equipment will produce better quality products, more efficiently, and position USA Gypsum to divert even more drywall from area landfills,” said Terry Weaver, President and General Manager of USA Gypsum. Located on 24 acres at 1368 West Route 897 in Denver, PA, the $3 million, custom designed 22,000 sq. ft. drywall recycling plant project also includes renovated buildings for packaging, storage and offices. Founded in 1998, USA Gypsum has grown to be one of the largest drywall recyclers in the United States. They provide economical options for disposing of drywall waste, pulling in drywall scraps from companies within a 350 mile radius of Central Pennsylvania. During the past 10 years, USA Gypsum has diverted over 225,000 tons (450 million lbs.) of drywall from area landfills, converting it to beneficial use by farmers in the form of gypsum fertilizer, soil conditioners and amendments, and gypsum animal bedding. In spite of this growth, they estimate less than 10% of drywall scraps generated in Pennsylvania are recycled. USA Gypsum ships their gypsum products across the United States and Canada. 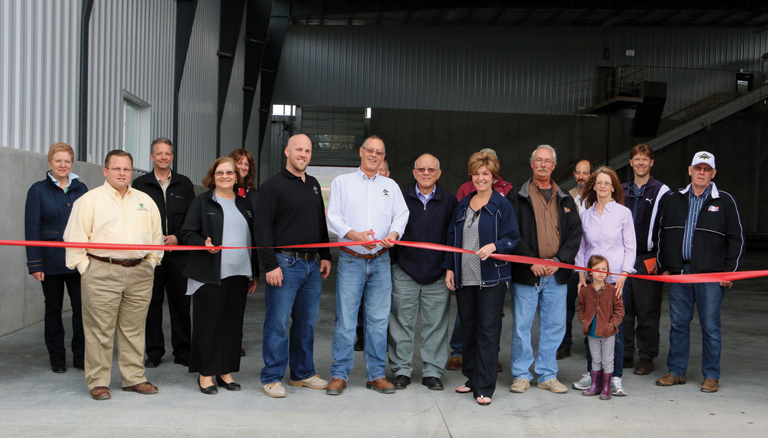 Ribbon Cutting Ceremony at new USA Gypsum corporate headquarters. 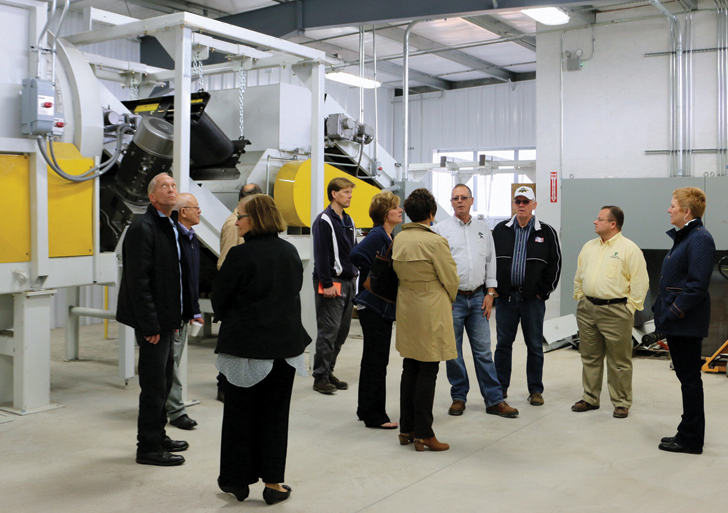 Guests tour the new USA Gypsum drywall recycling facility and hear more about the future goals and position of the company.